Being an architect: Concept: a Myth? It was a lazy Saturday afternoon. Through the large window of my studio, I could see that it had started drizzling. The weather could not have an impact on me as I sat there spellbound, staring at a junior architect’s academic work portfolio. I just witnessed a project with ‘seemingly harmless’ brief got itself pushed into the shape of a ‘turtle(! )’ (you read it right). I couldn’t help myself from asking the architect the motivation behind the ‘work’ as it defied all my logic and little experience accumulated over years about the specific building type. Was he limited by the area program, a difficult or peculiar site, or confronted by any structural requirement, or any other thinkable factors which could have forced him to attempt this bizarre unconventional solution? Apparently none of the above! "THEY DO NOT BELIEVE THAT BUILDINGS CAN HAVE ‘SILENCE’ AS A CONCEPT, ‘LIGHT’ AS A CONCEPT OR ‘SPIRITUALITY’ AS A CONCEPT." He had a simple answer to my question. That was his ‘C O N C E P T’! When asked for a slightly better explanation for selecting the particular ‘concept’, he retorted. He was late to start his work and by the time he did, he was left with not much options. His classmates had already ‘conceptualized’ upon all imaginable (and potential) natural forms and animals for the particular project! So if he had started early, chances are that he could ve produced a lotus or an oyster! I felt like laughing, but discouraged by the absolute seriousness in his tone. I wanted to explain to him the basics of how a project gets (actually) built. How various factors determine the footprint and the buildable area much before we take the pencil. How a client’s budget has an impact on the final outcome, how modules (and sub-modules) of various building materials determine the overall shape, how structural and planning grids are arrived. Also not to forget various codes and regulations to follow. I am not against organic shapes or, say, non-linear shapes, for that matter. There are numerous examples of great architecture being achieved following a natural form. I am deeply influenced by the works of Gaudi and Calatrava who had created great works by reinterpreting natural forms. I had a privilege, as a part of my professional commitment, to interact with students of most of the top architecture schools in the country and thus the concern. Over simplification and surface-deep interpretation of conceptualization in many schools misguide students into literally searching for symbols with low or no meaningful connection with the particular project. 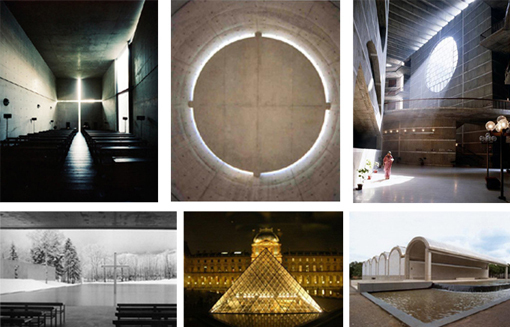 They do not believe that buildings can have ‘silence’ as a concept, ‘light’ as a concept or ‘spirituality’ as a concept. They will be, for sure, shell shocked when they understand that most successful commercial buildings have ‘money’ as its ultimate concept, whether its making money for the developer or making an end user spend money. Coming also in picture is the much debated ‘form follows function’ argument. There is a very profound statement made by I M Pei that summarise like ‘ I would rather be good than original’, which I think is very relevant in this context. Originality can come only from somebody who has mastered her art. the most important or the only point(most probably)that prompted him to come out with such a concept is indeed the faculty. no offense to the fraternity, but the faculty(few members) and the curriculum(to certain extend) is jointly responsible for this kind of turtle art...! I can imagine the scene (even guess the characters too!). Its such a powerful word that deserves in-depth analysis and understanding. Could not resist writing the post. Sarin, Hope you got a chance to go through the post "Can it be simpler? ", which continues the thought with the advantages of conceptualizing. awesome articles sir...thank you for giving us such a knowledge about conceptual design.. Thanks Muneer. Happy to hear about it! Are we learning right from past?